In the summer film recordings were made in 1916 during the preparations and the first day of the battle of the Somme in northern France. The filmmakers, Geoffrey Malins and John McDowell, mounted their images into a film of over 75 minutes. The film outlined for the first time a realistic picture of the daily life of the soldiers at the front trenches. 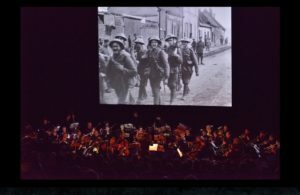 In 2006, the Imperial War Museum in London has restored the image, and was composer Laura Rossi commissioned to write a new soundtrack. The newly established association “Music and More” brings the production to the northern Netherlands. Conducted Hildo Flierman is a project orchestra composed of amateur musicians from the northern provinces, plus some professional strings recently started rehearsals. Minerva quartet forms the basis of the string section. Enthusiastic students with music as an examination to give Scholengemeenschap Vincent van Gogh in Assen fulfill the educational part, and are now engaged themselves to make music together or write to movie clips that are mounted in the final film. Saturday March 11 is a concert in the Dome Church in Smilde, starting 19:30. 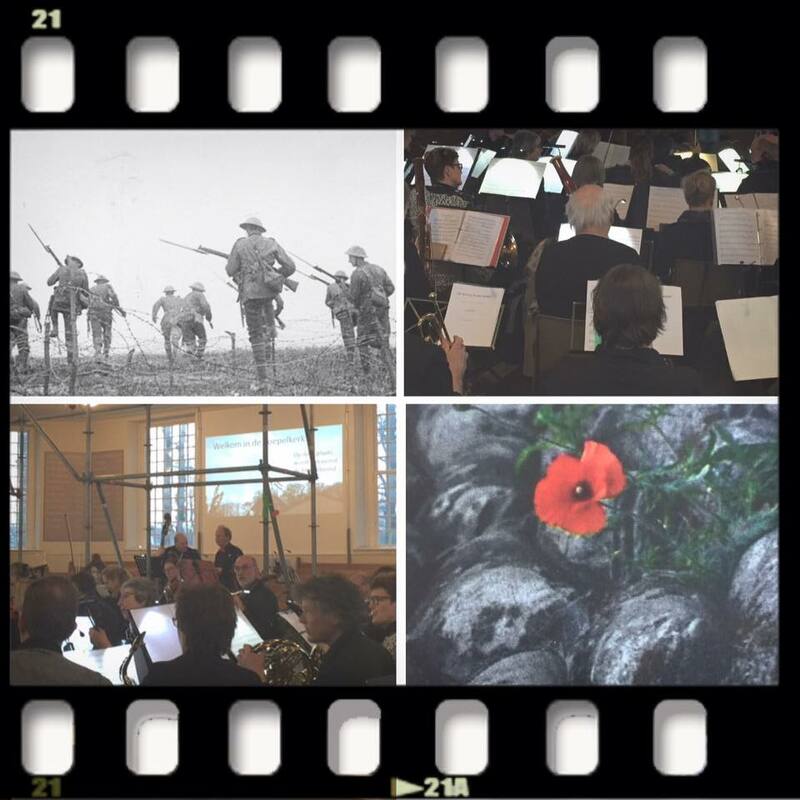 On Thursday, March 16th close the band complete the project on Scholengemeenschap Vincent van Gogh in Assen with a combination of film and music of Laura Rossi, and the music that students have devised.